Zhejiang Geely Automotive Company will go ahead with the assembly of it’s Geely CK1, or Geely Freedom Cruiser here in Malaysia. It will be assembled by Information Gateway Corporation Sdn Bhd. Production is expected to be 10,000 units a year by August 2007, with 20% of that amount destined for the local market and the rest for export. That would mean 2,000 Chinese cars a year on our roads. Have any of you seen a Chinese car on the road yet? I’ve only seen the Chery A160 at an exhibition in Mid Valley. Can’t see them anywhere. However Datuk Cam Soh says 100 out of 262 CBU Chery A160 models have been sold. 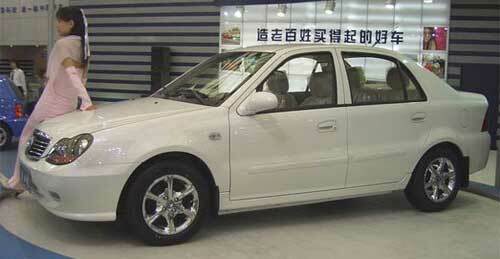 The Geely CK1 was based on a platform which Geely licensed from Daewoo. If I’m not mistaken, it runs Toyota engines. Originally it was reported that the assembly of the CK1 would be at a plant in Kuantan, but now IGC says it will be assembled by Oriental Assemblers Sdn Bhd in Johor Bahru. It is also in talks with other companies with assembly plants like DRB-HICOM, for further assembly options, perhaps for more models. Upcoming models will have up to 60% local content, while the 1.3 litre Geely CK1 will have 40% local content. One of the upcoming models will be a more upmarket luxurious version based on the same CK1 platform, rebadged as an IGC model. It will be called the IGC CKX. As Geely only produces left-hand drive models currently, IGC will be exporting right-hand drive Geely vehicles worldwide. They will be priced at USD5000-6000 for export, however prices for the Malaysian market is not known yet, although it is expected that it will definitely be much higher than RM22,800 (USD6000).